UMOCA wishes to correct the donors cited in the sixth section of this press release. 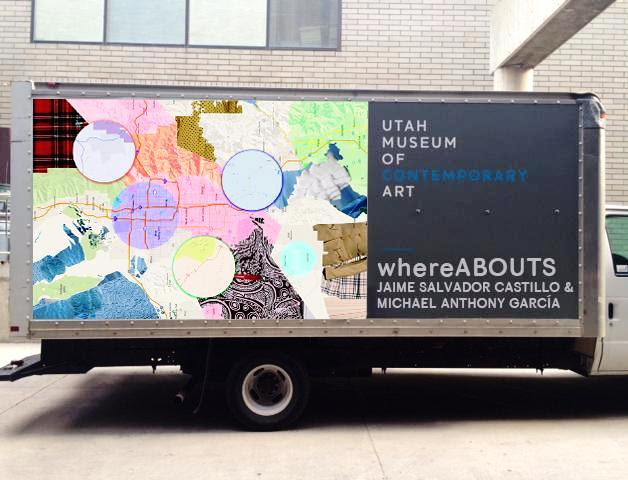 Salt Lake City, UT- The Utah Museum of Contemporary Art (UMOCA) is pleased to present Michael Anthony García and Jaime Salvador Castillo's whereABOUTS as the 2016-17 Art Truck exhibition. García and Castillo's whereABOUTS is an immersive and interactive installation that investigates location, identity, and community. The Art Truck, which will display artist-altered maps, will travel throughout different communities and schools in Utah where students will learn about mapping as a way to understand and express relationships between identity and place. What is a "map" and who determines its definition? How are place and identity connected? What makes a community, and how has your environment influenced you? These, among many others, are the questions that García and Castillo ask community members to contemplate through their installation. By combining visual map characteristics and the voices and experiences of diverse communities, whereABOUTS is an exhibit that is more than a reflection of our location: it is a reflection of the relationships we have between each other and the places we live. Students will explore their own communities through creative map-making of their neighborhoods. whereABOUTS aims to connect students from different communities all across Utah and will provide opportunities for visitors to learn about experiences outside their own. Student-generated art maps will remain in the Art Truck as part of the installation from school to school. These collected maps, along with Castillo and García's pieces, will make up an important part of this exhibit. Utahns are also encouraged to contribute to the project by submitting digital artwork to thewhereABOUTS project all year long. Share photographs of your community on social media and tag #whereabouts #arttruck #utahmoca. These images will be digitally displayed throughout the year at storify.com/utahmoca/whereabouts, as well as being included in the culminating whereABOUTS exhibition, opening at UMOCA in the fall of 2017. Born in El Paso but raised in Austin, Michael Anthony García earned his BFA at Austin College in 1996. A multi-disciplinary artist, García focuses predominantly on found-object nature, installation, and performance art. 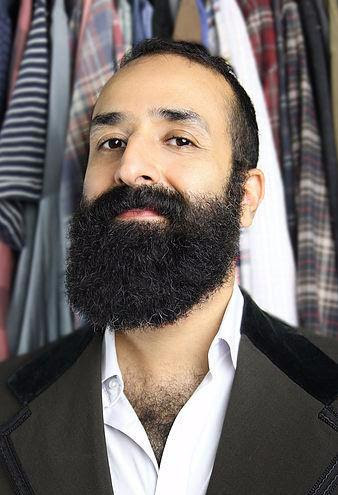 He has also worked extensively as an independent curator, helping found the powerhouse Austin-based curatorial collective Los Outsiders in 2007, alongside Jaime Castillo and Hector Hernandez. In 2012 and 2015, the collective was awarded Bes Group Show Curation by the Austin Critics' Table. García has also won multiple awards for both his curatorial and artistic work. 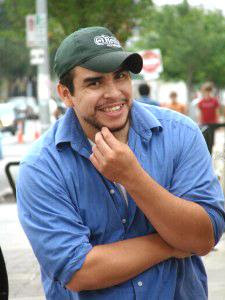 Jaime Salvador Castillo is an independent curator and the current Arts Commissioner of District 2 for the City of Austin. In 2005, he received his BFA in Studio Art from the University of Texas, Austin. A committed arts professional, Castillo has sat on the City of Austin's Art in Public Places Panel since 2009 and served as Chair from 2014-15. He was Chair of the Curatorial Board for Generous Art from 2014-15, a founding member of Los Outsiders art collective until 2015, the portfolio advisor for "Young Artists @ Arthouse," and a contributing arts writer for The Austin Chronicle. His current project, Eyes Got It, is an open art competition offering critical reviews and exhibition opportunities. The Art Truck is the only traveling educational art exhibit of its kind in Utah. 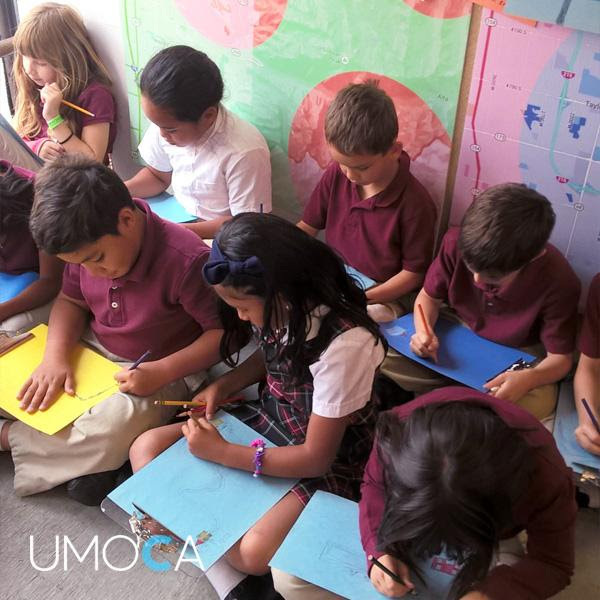 The UMOCA Art Truck brings exciting and accessible contemporary art, created by leading local and national artists, directly to schools and community venues across the state. Each on-site visit by the Art Truck includes the expertise of a trained museum educator who leads students through a meaningful exploration of the current exhibition. Teachers are provided with structured lesson plans to supplement their tour and incorporate the Art Truck more deeply into their curriculum. a wide variety of educational and charitable purposes. For more information or to request a visit by the Art Truck, contact Madeline Savarese at[email protected] or call801.328.4201 X 110. Madeline is UMOCA's Art Educator and spends much of her time traveling from city to city in the Art Truck. She facilitates all the Art Truck events and visits as well as creating lesson plans and activities for teachers. UMOCA is very pleased to have Madeline on board our staff and appreciates all her hard work regarding the Art Truck, one of our most impressionable and educational programs for kids. On Oct 1 from 10 a.m. to 3 p.m., the Art Truck was present at the 7th Annual Touch-a-Truck Event, located at the Valley Fair Mall. Hosted by the Junior League of Salt Lake City, this event allows families to see the inner workings of all kinds of trucks and offers kids of all ages hands on experience to explore large vehicles. UMOCA is a five-time recipient of funding from the Andy Warhol Foundation for the Visual Arts and is a 2015 and 2016 recipient of the National Endowment for the Arts' Art Works grant award. 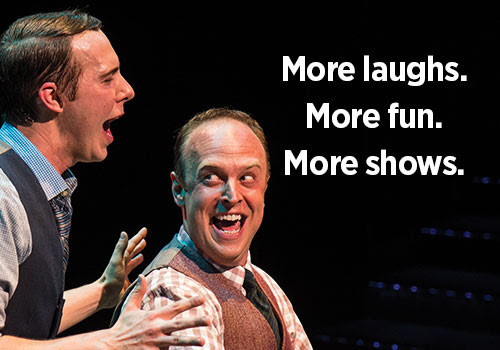 We need your help with the BCA Survey of Business Support for the Arts! The 2016 National Survey of Business Support for the Arts, which is jointly conducted by The Conference Board and Americans for the Arts, is open to companies of all sizes who participate in corporate philanthropy, employee engagement, volunteer programs, or sponsorship. Encourage your business partners to fill out the survey and share it with your business networks! Linda C. Smith named Distinguished Alumni from the University of Utah. Salt Lake City, UT -- Repertory Dance Theatre is proud to announce that Executive/Artistic Director, Linda C. Smith is being awarded the Distinguished Alumni Award by the College of Fine Arts and the University of Utah for the discipline of Dance. A native of Utah, Linda C. Smith began her career in dance at the age of four with Virginia Tanner’s Children’s Dance Theatre. In 1966, she become a founding member of Repertory Dance Theatre where she fulfilled her dream of becoming a performer, teacher, choreographer, writer, producer, and eventually the Artistic Director. For more than half a century, RDT has pushed the boundaries of modern dance, while preserving and celebrating its legacy. It was radical when Linda Smith and other Utah modern dancers beat out the big city stalwarts to receive a Rockefeller grant establishing Repertory Dance Theatre as the nation’s first repertory dance company. Today, Smith continues to push the boundaries by commissioning new work and re-staging historical masterpieces. Salt Lake City ‐ The Utah Division of State History announced its 2016 Annual Awards as part of the 64th annual Utah State History Conference. The awards will be presented Chairwoman of the Board of State History chair Dina Blaes at conference events this week. The Outstanding Contribution in History Awards are for a lengthy period of excellence. The Utah State Capitol is receiving an Outstanding Contribution Award for the stewardship of the Capitol by multiple agencies for over 100 years. This project is arguably the most significant rehabilitation project every completed in Utah. The scale and complexity of the project is unmatched, especially considering the vast number of stakeholders involved. Thomas Carter has contributed to the study and understanding of Utah’s built history for over 35 years. His contributions to Utah history are both broad and deep. He pioneered the study of Utah’s vernacular buildings, teaching all of us how to document and analyze buildings in a new way – a way that illuminated important social meaning. Tom’s work has filled a large gap left in all the classic studies of American vernacular architecture. In nearly every textbook, the discussion of folk housing is centered in the eastern United States with (perhaps) only brief discussions of Native American structures in the Southwest. Tom Carter changed all of that. William Davis and Debbie Westfall have supported archaeology and cultural resource preservation in San Juan County and throughout Utah for over 30 years. Through their work as federal and state archaeologists, private consultants and private citizens, they have worked tirelessly to document the archaeology of the region, to educate the public in the significance and value of archaeological resources, and to protect archaeological resources for the benefit of all. Together, Bill and Debbie have authored and co-authored over 300 major and minor technical reports and over a dozen published reports and articles. Some of the important contributions to Utah archaeology include excavations at Westwater Canyon, White Mesa, Lime Ridge Clovis Site, and the Bluff Great House. Each year, William P. MacKinnon generously provides funds to further the professional development of a meritorious employee of Utah State History. This year, the William P. MacKinnon award goes to Donald Hartley, a historic architect for 27 years. The Helen Papanikolas Award goes to the best college or university student’s paper on the subject of “Women’s History in Utah.” This year’s award goes to Joseph Rulon Stuart, a University of Utah PhD student for his paper, “’A Great Many of the Sisters Wept Silently and Seemed to Feel Worse than the Brethren’: Gendered Religion and Religious Disappointment.” In this paper, Stuart combines solid research with sophisticated methodology to understand how Latter-day Saint men and women reacted differently to polygamy and the Woodruff Manifesto of 1890. The LeRoy S. Axland Award goes to the best Utah history article appearing in a publication other than the Utah Historical Quarterly. This year’s award goes to David Rich Lewis, “Skull Valley Goshutes and the Politics of Place, Identity, and Sovereignty in Rural Utah.” This article appeared in in Bridging the Distance: Common Issues of the Rural West, edited by David B. Danborn, (Salt Lake City: University of Utah Press, 2015) Lewis’s skillfully argued chapter looks at the debate over hazardous waste storage in rural Utah, specifically the Skull Valley Goshute’s 1997 agreement to store high-level radioactive waste. Though the arrangement would have brought needed jobs, it was extremely controversial, pitting many different people against each other. It was, as Lewis writes, “an Indian story and a tale of the modern rural West,” showing the “frustrating choices” faced in rural landscapes. The Dale L. Morgan Award goes to the best scholarly article appearing in the Utah Historical Quarterly. This year’s winner is Bruce W. Worthen for his “‘Zachary Taylor Is Dead and in Hell and I Am Glad of It!’: The Political Intrigues of Almon Babbitt.” Published Utah Historical Quartely, Spring 2015. Worthen uses letters, speeches, and newspapers to recreate a political drama in 1850s Utah. At the center of the drama was the self-interested Almon Babbitt, a lobbyist for the Mormons in Washington, DC. Babbitt’s maneuverings hindered Mormon efforts for statehood and contributed to a growing rift between the federal government and the Mormons that would culminate in the Utah War of 1857. The Charles Redd Center for Western Study Award goes to the best general interest article appearing in the Utah Historical Quarterly. 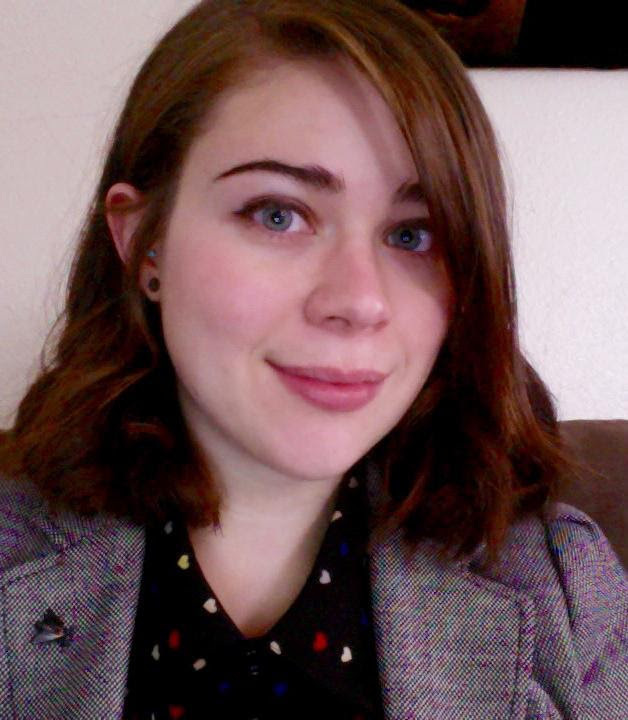 This year’s award winner goes to Christine Cooper-Rompato for her article, “Women Inventors in Utah Territory.” Published Utah Historical Quarterly, Summer 2015. Cooper-Rompato provides much insight into what these patents tell us about nineteenth-century America and the private and public lives of women in Utah. Utah's highest and most prestigious Book award, The Francis Armstrong Madsen Award for the best book in Utah history, published during 2015, goes to W. Paul Reeve for his excellent bookReligion of a Different Color: Race and the Mormon Struggle for Whiteness, published by Oxford University Press. Reeve applies the insights of race and whiteness studies to the nineteenth-century Utah and Mormon context. He argues that the Protestant majority marginalized Mormons as not only a religious “other” but as a racial “other”—as a group physically distinct from the white mainstream—a “new race” of degenerate religious fanatics. This well-executed book enriches the way we conceive of Utah and Mormon history as well as contemporary racial issues that we face today. This year we are also pleased to announce the winner of our meritorious book award: Charles S. Peterson and Brian Q. Cannon, authors of The Awkward State of Utah: Coming of Age in the Nation, 1896-1945, published by the University of Utah Press. An Honorary Life Member is one who has provided a “distinguished service to the State and the Society,” including service and leadership over a long period of time. This year, Curt Bench has been selected. Bench is the owner Benchmark Books, a rare and used bookstore specializing in Mormon and Utah-related history. For over thirty years Mr. Bench has served the historical community by acquiring and selling historic books, offering a space for historians to speak and showcase their work, and encouraging Utah, Mormon, and western history scholarship. State History’s most prestigious honor is presented to individuals with long and distinguished careers in scholarly research and writing in, or who have made an extraordinary contribution to state history, historic preservation or archaeology. Our honoree is Jeffery Ogden Johnson. From 1988 to 2002, Mr. Johnson was the official Utah State Archivist. In that position he was responsible for maintaining and cataloguing the historical records of a wide variety of Utah government departments, offices, and individuals. -Jason Mathis, Downtown Alliance Executive Director. IMAGE: Theaster Gates as featured in the Chicago hour of Art in the Twenty-First Century Season 8. © ART21, Inc. 2016. September has been a busy month for ART21! Season 8 of Art in the Twenty-First Century premiered on PBS September 16th with the Chicago and Mexico City episodes, and the season finale aired last Friday with the Los Angeles and Vancouver hours. Seattle's The Stranger called the new season "the antidote" to trash TV: "It's just beautiful, smart footage of art," capturing the complexities of the artists "without getting in the way." Meanwhile, the ART21 Magazine began its own investigation of place, welcoming Mexico City-based curator Chris Sharp as guest editor. We're also taking Season 8 on the road, with a sold-out screening in Vancouver and upcoming events with artist Chris Ware in Chicago. As Vancouver artist Brian Jungen said, "There's all different sorts of art worlds," and we've only just tapped the surface. Watch all four episodes of Art in the Twenty-First Century Season 8 online and through the PBS apps. And go behind-the-scenes with the ART21 Magazine's "Deep Focus" column. Chicago is a city rooted in industry and towering architecture, and artists in Chicago are disrupting urban experience through experimentation. 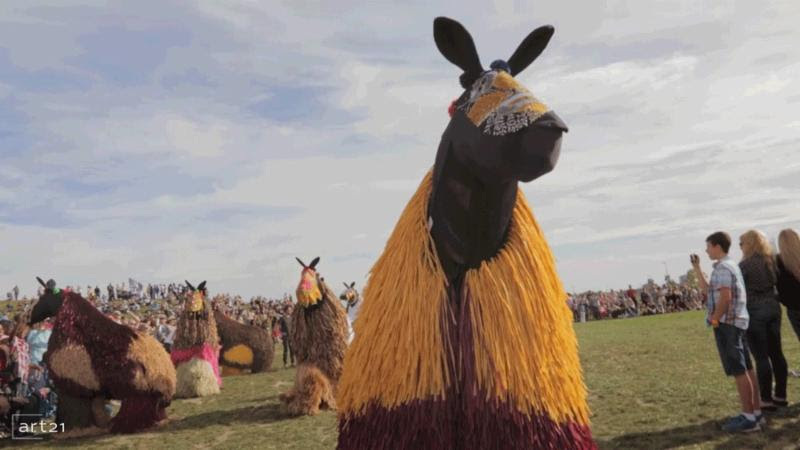 Featuring artists Nick Cave, Chris Ware, Barbara Kasten, and Theaster Gates. Premiered on September 16, 2016. Mexico City artists use the growing megalopolis as their canvas, presenting everyday materials as artworks and taking their art to the streets. 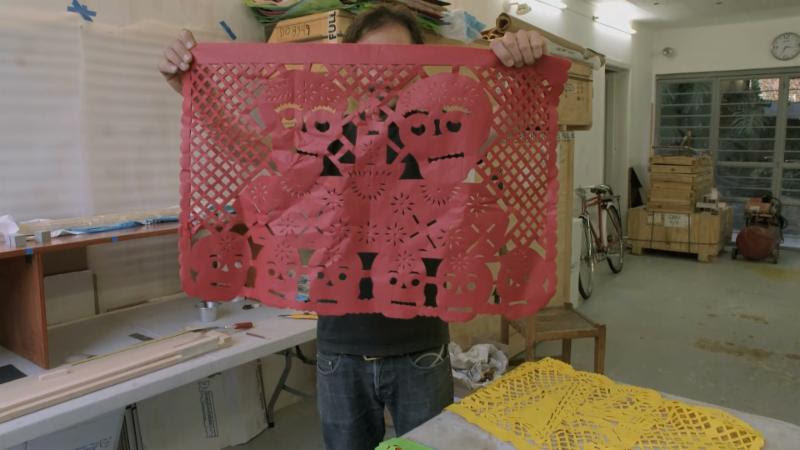 Featuring artists Damián Ortega, Pedro Reyes, Minerva Cuevas, and Natalia Almada. Artists working in the shadow of the entertainment industry are more "under the radar," affording them the space and time to imagine. Featuring artists Diana Thater, Liz Larner, Tala Madani, and Edgar Arceneaux. Premiered on September 23, 2016. 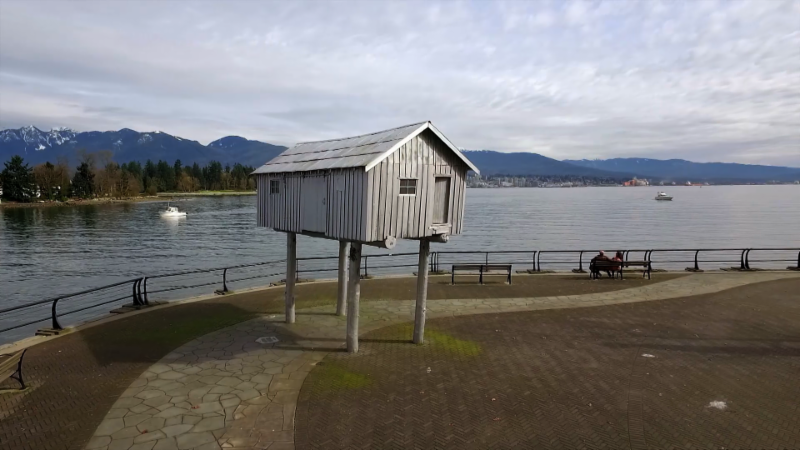 In small and tightly-knit Vancouver, artists reframe the world through a series of illusions, revealing how everyday images and historical events are not always what they seem. Featuring artists Liz Magor, Stan Douglas, Brian Jungen, and Jeff Wall. 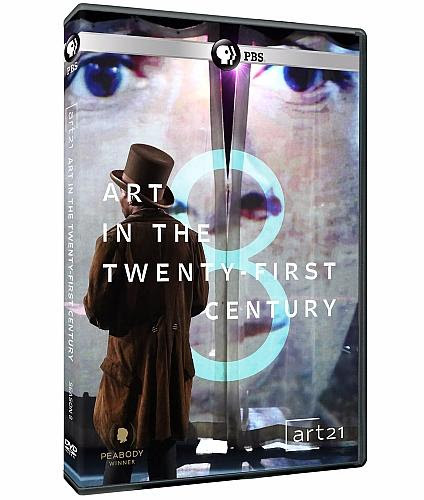 Be the first to own Season 8 of Art in the Twenty-First Century on DVD. Pre-order the four episode, 240-minute documentary and get inspired by today's most compelling artists. Discover the stories, ideas, and methods behind their work in a Peabody Award-winning series that takes viewers into artists' studios, homes, and communities to provide intimate access to their lives, creative processes, and sources of inspiration. Eight seasons of Art in the Twenty-First Century, featuring over 100 artists across 32 episodes, are available to purchase on DVD through ShopPBS.org and other retailers, and as digital downloads through iTunes, Amazon Instant Video, and Google Play. "One major function of art is to allow us to see things we think we know in a different way." Teresita Fernández. Fata Morgana, 2015. Installation view. 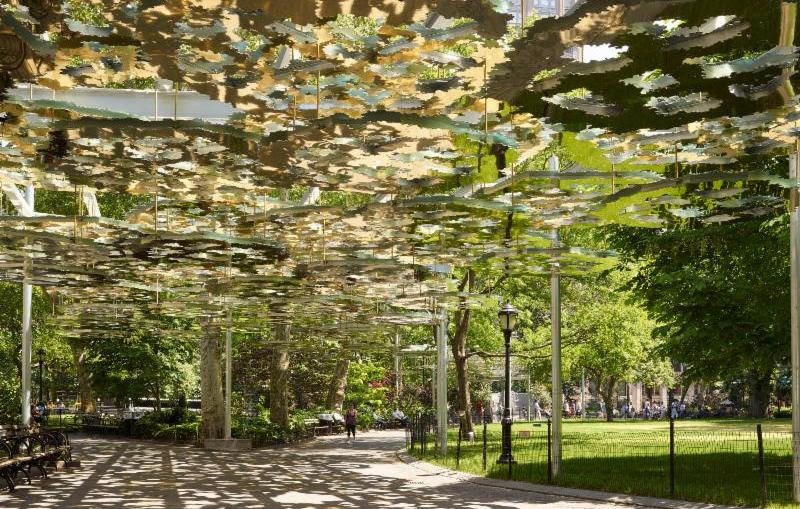 Madision Square Park, New York 2015-2016. © Teresita Fernández. Photo: Elisabeth Bernstein. Courtesy of the artist, Lehmann Maupin and Anthony Meier Fine Arts. Writer and curator Chris Sharp introduces the new issue on place, explored with a focus on art and artists in Mexico City and Los Angeles. 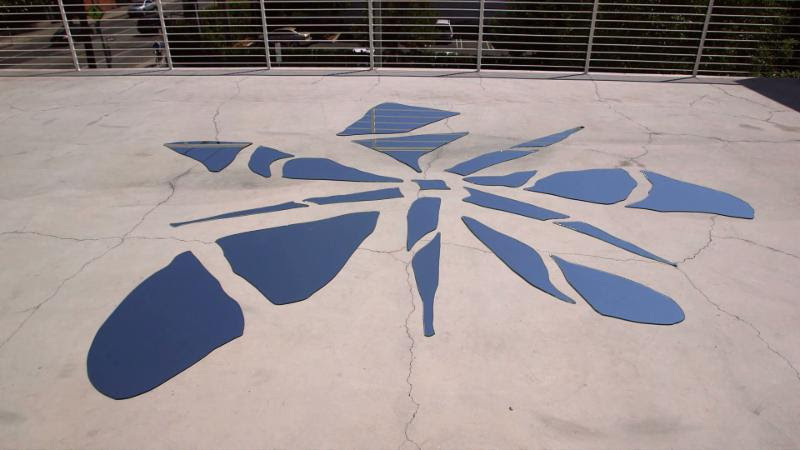 LA-based writer Carol Cheh examines Exquisite Corpse, a 51-minute film by artist Kerry Tribe that explores the 51 miles of the Los Angeles River. In an extended interview with Teresita Fernández, the artist discusses her work's relationship to notions of landscape and place. Two Season 8 guides are available for free online. The 62-page Educators' Guide offers discussion questions and classroom activities for each artist segment. It also includes full-page images of artwork and a glossary of relevant terms. The Screening Guide includes episode synopses and event ideas to help facilitate community events. If you're interested in hosting or attending a Season 8 screening, the ART21 Screening Societyprovides all the materials needed for organizations and individuals around the world to host screenings of Season 8 episodes. Find a screening near you, or host your own. ART21 has launched a new membership program to provide customized ways for you to engage with ART21. Invitations to season premieres and special access events, passes to major art fairs, and recognition on ART21.org are just some of the offerings in this new program. Join today! "I'm interested in you feeling the buzz...to feel [your] full self in the presence of other kinds of selves." ART21 is a 501(c)3 non-profit organization; all donations are tax-deductible to the fullest extent of the law. 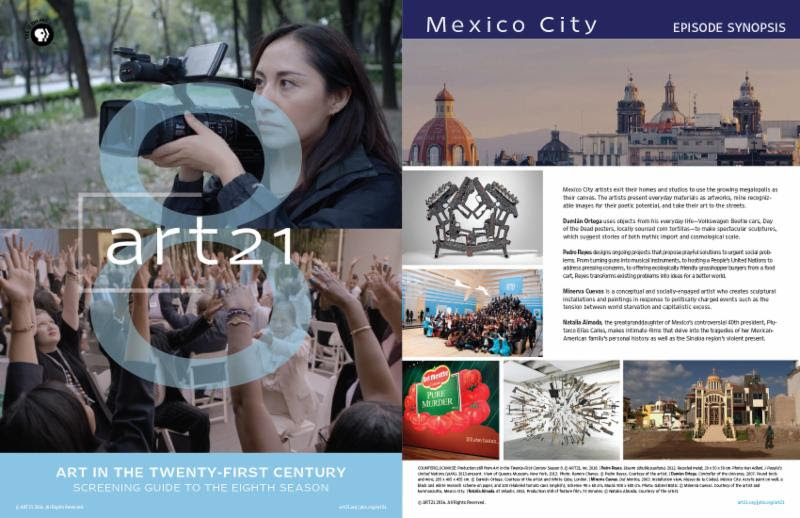 Donations to ART21support the production of ART21's films, education initiatives, digital resources, film archive, and other ART21 projects. Salt Lake City, UT – September 27, 2016 – In conjunction with its annualDistinguished Alumni Award celebrations, the University of Utah College of Fine Arts College (CFA) just published findings from its 2016 survey of Utah companies about the demand for a creative workforce in our state, and the outlook is very positive for students of the arts. More than two dozen Utah companies responded, and span a range of industries from travel and tourism to higher education, and from nonprofits to regional arts organizations, videogame developers, communications firms, media outlets, and political think tanks. They are based all across the state and ranged in size from 2 to 18,000 employees with both local and international reaches. The demand for creativity is present for sectors both in and out of the arts, and is driving the innovation needed for companies to accommodate the rapid change their industries are experiencing. For example, 97 percent of the companies surveyed said the businesses in their industry can only remain relevant if they have a creative workforce, and among those attributes deemed important by hiring managers, creativity ranked the highest, with 91 percent of respondents designating it important. More than half (55%) of all companies surveyed said their industries change more over time than others, and 61% percent of all businesses said that in their industry, the connection between agility (the ability to keep up with current trends) and stability (the ability to sustain business growth) is strong. Throughout all the data (and there is more presented on The Finer Points blog), it became evident just how interconnected creativity is with all aspects of success, from individuals’ professional success to companies’ business success. And, on September 29 at 10:45A in Nancy Peery Marriott Auditorium of Kingsbury Hall, the College will honor five distinguished alumni in the areas of art (Brad Smith), dance (Linda C. Smith), film (Tori Baker), music (Adelaide Sinclair), and theatre (Jeff Frank) who are living examples of our graduates’ impact in the professional world. These alumni have gone on from their studies here in the College to perform around the world, use theatre to teach youth, run arts nonprofits, and even break ground in medical research.